Oil and Gas Jobs in Saudi Arabia. Saudi Arabia is the biggest exporter and producer of petroleum liquids in the world, and is second only to Russia in production of crude oil. There are around 267 billion barrels in Saudi Arabia of proven oil reserves as well as 253 trillion Tcf of natural gas reserves. Since oil was discovered in the country during the 1930s, the Saudi Arabian oil industry has emerged as a major component of the nation's economy and it now estimates around 7.6 million bpd each year to countries all around the globe. Some major customers include China, the USA, India, Japan and South Korea. Most of the oil produced in Saudi Arabia is in the Eastern Province, with the Ghawar oil field being the biggest traditional oil field worldwide. The world's largest offshore oil field is also found in Saudi Arabia, the Safaniya Oil Field which is located in the Persian Gulf. Saudi Arabia has 3 major oil export terminals: the Ras Tanura complex, the Ras al-Ju'aymah facility and the Yanbu terminal. The country also hosts the biggest oil processing facility in the world which is able to produce over 7 million barrels each day. The nation is also home to 9 oil refining complexes producing petroleum products for both the domestic and export market. Their products include jet fuel, kerosene, liquefied petroleum gas, diesel oil and gasoline fuel. 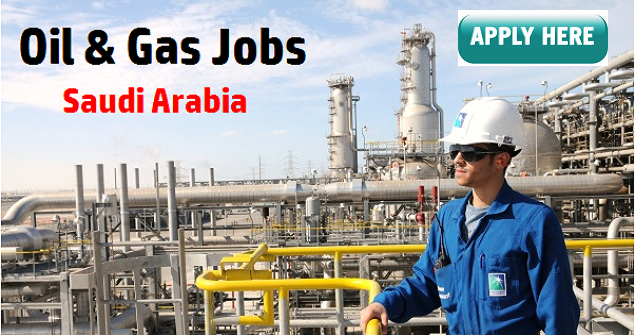 As the sector is so large, there are numerous oil and gas jobs in Saudi Arabia with positions in many different fields. Depending on the role within the Saudi Arabian gas and oil industry, different qualifications are required. However, in general, most of the vacant positions require staff with previous experience in the industry and with relevant certifications or qualifications. A large number of the vacancies advertised within the sector are aimed at professionals and there are relatively few entry level posts. Usually, a minimum of three years of experience is necessary, with up to 10 years being required for more senior positions. For most engineering posts a relevant university degree is also a requirement. For those who are interested in a foreman position, a supervisory role or a inspection post, the emphasis is more on experience than educational qualifications, and sometimes only a good quality secondary level education is necessary. While multi-lingual skills are not always necessary, it would be a bonus to have at least a basic working knowledge of Arabic. The good news is that there are plenty of places that you can begin your job hunt for positions within the Saudi Arabian oil and gas industry. The internet has numerous websites where you can search for suitable roles including the OilAndGasJobsearch.com website and Rigzone.com site. These, among other sites, are dedicated to listing a comprehensive range of jobs within this sector all over the world and is a great place to begin looking for employment. Some job websites solely focus on employment in the Gulf and only list positions within this geographical area. Some examples of these include Gulftalent.com and GulfJobsMarket.com. Although these list a variety of jobs, there is a section dedicated to the gas and oil industry. There are also several agencies which specialize in matching oil and gas professionals with suitable vacancies. Companies such as Talascend are recruitment specialists within the industry and offer contracting services within many aspects of the sector. Another possible approach is to contact the Saudi Arabian gas and oil companies directly, looking on their individual websites to explore current openings. The Aramco website, for example, lists employment opportunities which are open for application to any suitable candidate. General job website such as Monster and Indeed also sometimes list vacancies within the Saudi Arabian oil industry and are a useful inclusion in your job search.